The method for live finds is presented then recovery techniques if the handler chooses the dog to know both, which require different trained indications (alerts). The program allows for individualization in the training process, reward systems and alerts, whichever best suits the dog and handler. These lessons are for the dog that already has training in basic obedience, agility, and socialization. 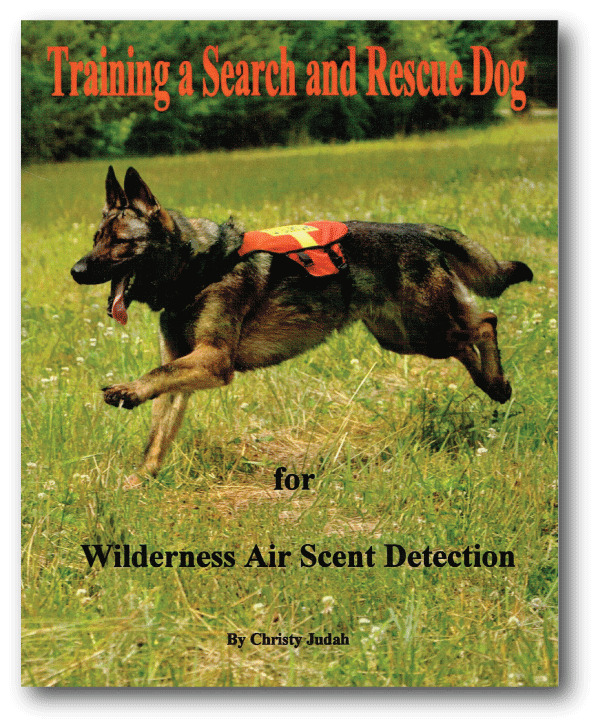 If not, start first with Building a Basic Foundation for Search and Rescue Dog Training. This would help lay the appropriate groundwork for a fully certified, mission ready dog. Examples of training logs, search reports, HR donation forms, scent article collection and other important documents are included.